Websites educate, engage and draw in prospective customers. Design your website to be inviting and helpful to keep prospective customers on your site. This is harder than it sounds and some designers-both amateur and professional – have used some major design-flops that detract, rather than attract their future customers. 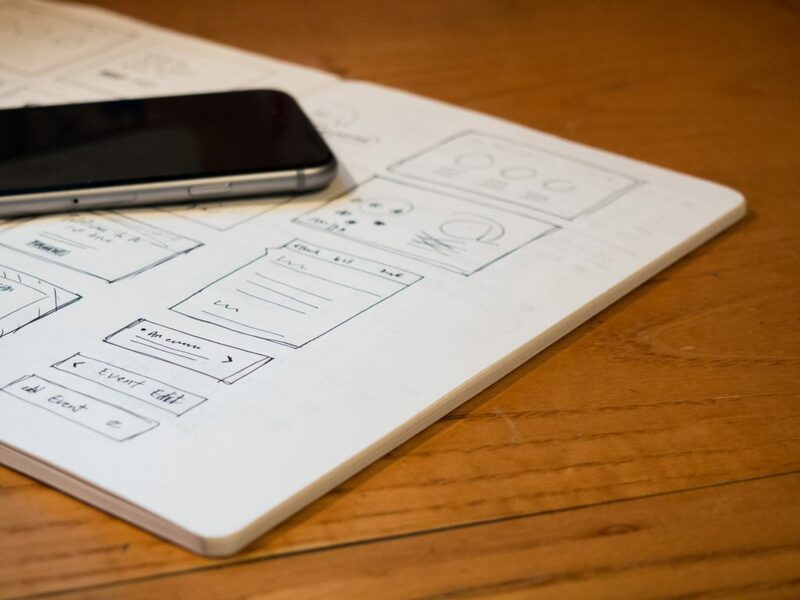 These design-flops sent us on a mission to find the worst offenders so that we could learn from it and help others avoid these website design flaws. We wanted to find out these top website design flaws, so we hit the ground running, searched social media, and asked people for their feedback. Some of the answers may seem obvious and others may surprise you. 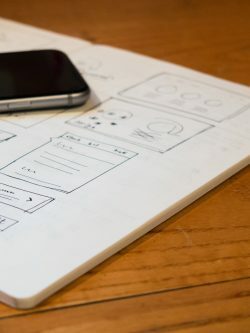 Take these worst practices to heart and adopt the best website design practices on your website. In our research, one overarching theme came to the forefront: companies talk about themselves or pitch their products without saying how they’d serve the customer’s needs. Solve your customer’s problems first, and then tell them about how you are the best company for the job. The customer feeling left out or ignored was a common problem in a lot of the websites we reviewed and we found these 15 pet peeves in web design that are driving customers away. Cliché as it may sound, Content is King. Your site needs appealing visuals and graphics, but what you really need is to answer your prospective customer’s problems or needs. View this from the eyes of your customer. What information do they need to make their buying decision? Use that question to help guide quality content for your site. If you aren’t sure what to write, consider working with a marketing consultant or hiring a content writer to help share your story. If your visitor is unable to find visible, easy-to-find contact information for your company, which should include phone number, business hours, physical and mailing addresses, and emails, you may be losing them. When your prospective customer is ready to reach out, the process should be as easy and painless as possible to convert that visitor to a lead. Your phone number should be easy to find on the homepage. Okay, your company is great, but how does that help me, the customer? Your content should be written to help your customers and to answer their questions. Find a way to answer their needs first, talk about how you’re the company for the job, second. Maybe you feel that your product or service just isn’t that exciting to talk about. Something brought that prospective customer to your site, likely because they are seeking more information about your product or service (even if there isn’t a lot to say), to find company contact details or to make a purchase. So say what there is to be said and convert that visitor to a customer, perhaps your “buy now” call to action will be more important than pages of content. Whatever the case, be sure to answer your customers questions and guide them to your intended conversion. People have busy lives and you need to quickly engage them when they visit your site. There are several ways to share your updated content. You may present them with all of the information in a clean, concise, and easy to follow manner. Or, you may provide bits of interesting content that pulls the visitor through to the next page and the next. Whichever approach you take, you need to have a method for keeping that content updated. If your latest blog post is from 2014, then you’re doing it wrong… and you’re sure to make it onto someone’s pet peeve list. With over 60% of all searches taking place from mobile devices, it’s important that your potential customer can access your information from their mobile device. If your site is not mobile responsive, the result will be unhappy customers and you’ll be ignored by the search engines (thus affecting your organic search rank). Mobile responsive sites provide a better user experience and are looked upon more favorably by the search engines. If you aren’t sure if your site is mobile-friendly, you can test it here. If your prospective customer wants to hear the elevator music, they’ll visit an elevator! Simply put, don’t put audio on auto-play. It can lessen the impression of your brand not to mention it can be annoying and troublesome for people who don’t want everyone else in the room to know what they’re up to on the web. If you must include audio, create a frame for the code and user control so that the music can be easily paused or stopped at any time. Remember, your goal is to keep customers ON YOUR PAGE and nothing feels like a swift kick in the behind more than sending a prospective customer away from your site. So if you have a landing page or pdf, please, it should open a new search window so that your customer is not sent away from your site. One of the favorite quotes we received during our research was, “ads on sites make me feel unsafe and I immediately hit the ‘back’ button!” Not only can ads on your site irritate potential customers, but we must ask, why would you want to advertise other products or services on your page when you want them as YOUR prospective customer? If they made it to your site, this is your opportunity to take advantage of the chance to engage and earn their business. There is no logical reason to have a font that closely matches the background unless you are trying to hide links or content on your page which can be detrimental to your search rankings. Be sure that your font is different enough from your background color so that it’s clearly legible and there is no question about what your visitors should read. You aren’t writing your best friend’s sweet 16 Birthday Card. People want to find the info they need and absorb it in the easiest way. Help them do that. Getting customers to engage is invaluable, so make it easy for them to connect on social media. If a customer likes/follows/connects with your page, they are giving you permission to market to them over and over again. Encouraging visitors to sign up for your newsletter, and giving them incentive to do so, is a good thing! But, requiring them to do so is annoying and arrogant. Why not instead draw your visitor’s in, rock their world with your awesome site, and make them want to sign up to stay in touch with your brand? Some ways you can do this are with an easy to find “sign up for our newsletter” option where customers can easily type in their email address. If you wish to collect other info, limit it to 3 fields such as name and email only. The more you ask for, the less likely prospective customers are to share that info and sign up for the list.